Ok everyone check out this awesome (well i think so anyway) ;) layout I made. It's for a pic of Wicked which my wonderful SIL asked me to go to with her (my bro bought her the tickets for her birthday cause she's been wanting to see it for .. well forever lol). I'm so glad I went.. to repay her I took her and my best friend to see Jersey boys which was also amazing!! So we've decided to make it "our thing" a girl thing usually like a girls night out away from the husbands and kids.. and with our friend from high school (my best friend Lindsey) we're all planning to go see the Addams family next which isnt until spring 2013 :( oh well lol it'll be fun... and my husband has actually agreed to join us for that one since I call his family "the Adam's family" lol. I used all DCWV papers for this layout. All cuts are from A Frightful Affair. I used the sketch for the DCWV challenge this month. Cut different sized strips of different papers and a photo mat from the same paper as the background and tied some embroidery floss around the bottom (purple and white). 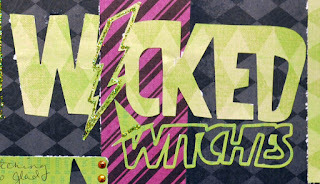 ... around the pic mat.. the lightning bolt in "Wicked" the witch hat at the bottom and the witch hat in "witches". I also added some Orange irock gems some on the journaling tag and 1 as a bubble from the cauldron in the left. 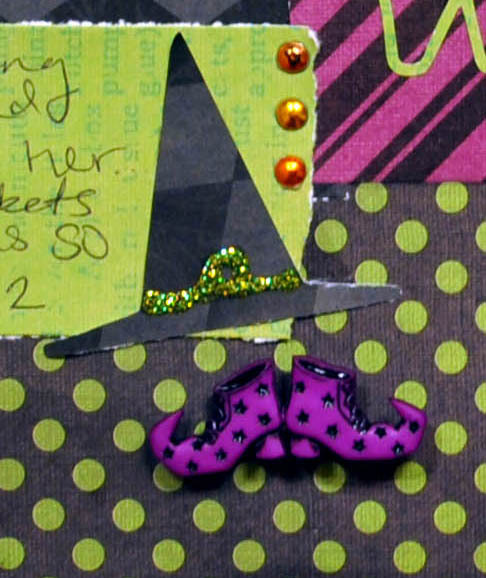 Theres a bright green button on the bottom left of the journaling mat and the witch shoes are actually a button thing from my huge button collection. This is so COOL great colors I love it. Super cute colors and great layout. 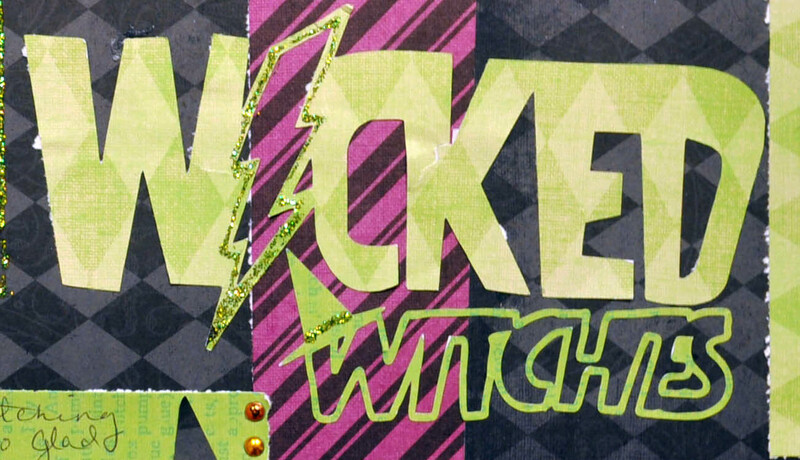 Thank you for joining us at CardzTV Stamps!! We hope to see you again soon!